The Funbox 9'2 is the perfect inflatable SUP board for lighter riders and for learning to surf. The new Funbox 9'2 Air SUP comes with a brand new deco (available in 4 different designs: Kingston, Bolt, Girlie and Classic). 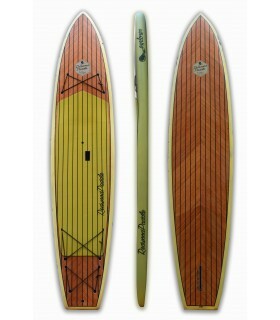 Whether you're paddling on a river, in the ocean or you're out in the surf, it's the perfect board! This is an Air SUP for all occasions. MSL fusion and dropstitch construction with double layer PVC (xtra bi-axe) making the board both lighter and more rigid.